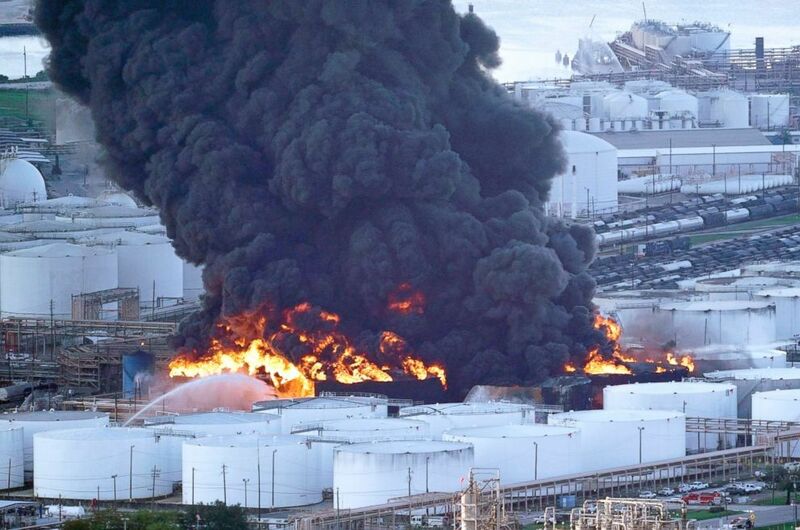 A massive chemical fire south of Houston, Texas, triggered an emergency order for locals to shelter in place even after a dangerous chemical was detected in the air. (David J. Phillip/AP) Firefighters battle a petrochemical fire at the Intercontinental Terminals Company, March 18, 2019, in Deer Park, Texas. 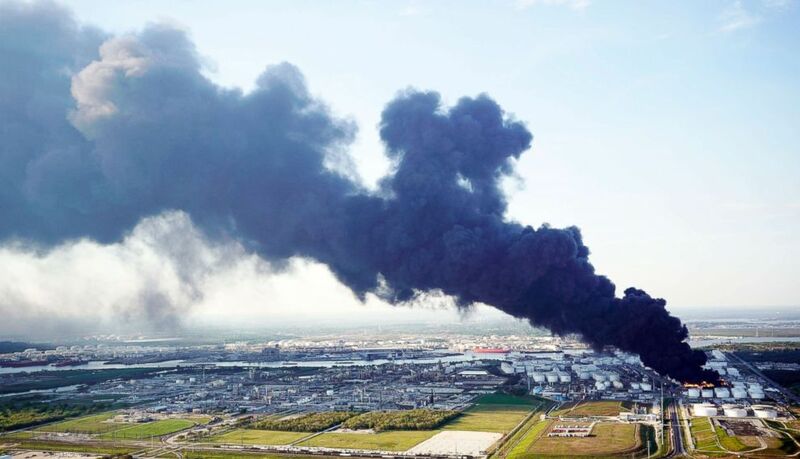 (David J. Phillip/AP) A plume of smoke rises from a petrochemical fire at the Intercontinental Terminals Company, March 18, 2019, in Deer Park, Texas.